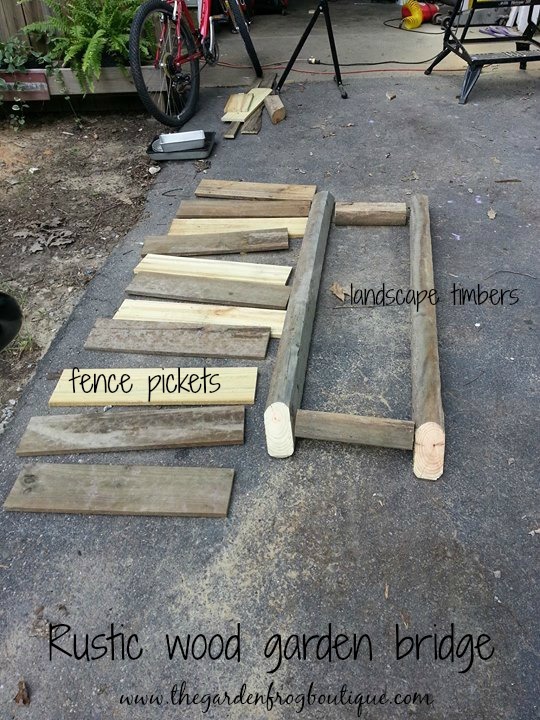 You can create the rustic garden bridge for around $10 if you find the materials on sale at your local home store. 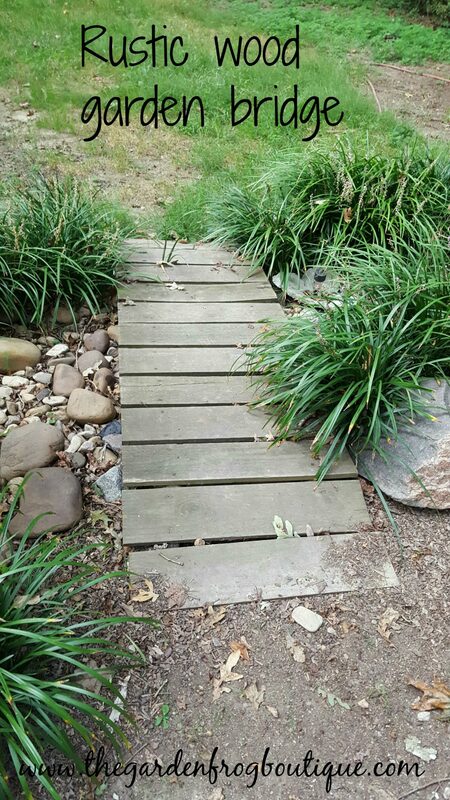 When I built this bridge a few years ago the landscape timbers were at The Home Depot for $1 and the dog eared fence pickets were under $1.50 each. Depending upon the time of year and where you live, this project should not cost more than $15 to create. I built this before I discovered the world of posting everything on social media and blogging. I can walk you through the process and you can adjust the measurements to fit your garden. 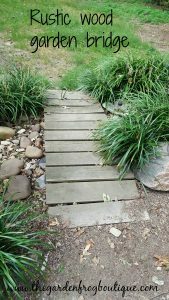 My garden bridge goes over the dry stream bed and connects my backyard garden path and beds with the small grassy area. 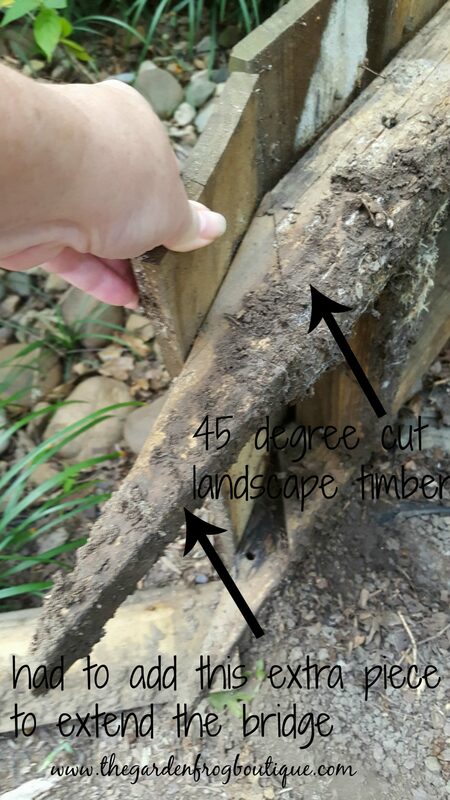 I simply cut 45 degrees on the ends of 2 timbers and then cut (3) 12″ timbers for the middle bracing and support. I used 4″ screws to connect the foundation for the bridge (because I prefer screws but nails are good too). 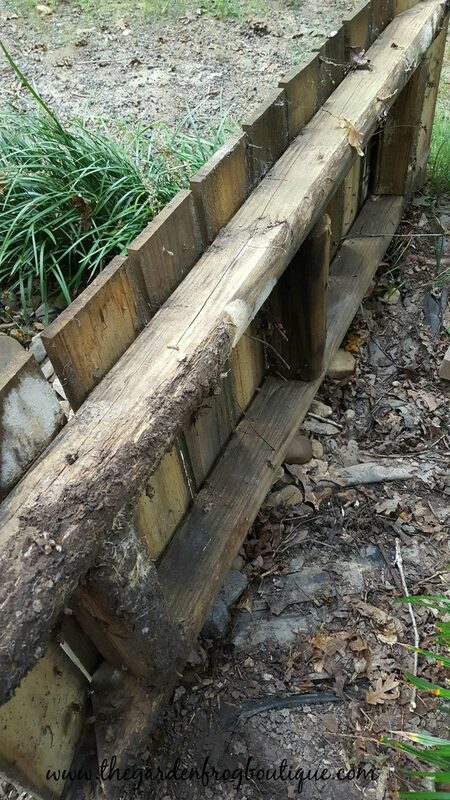 I then used 2″ screws to attach the planks. 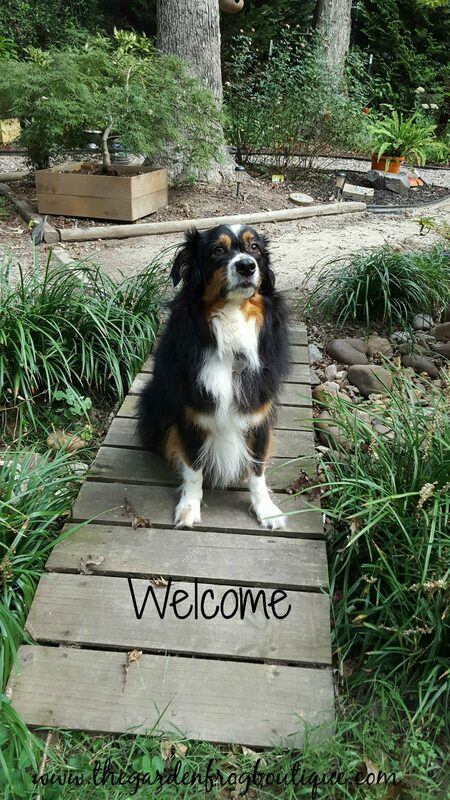 Dog ear pickets are 5 1/2″ wide so my bridge dimensions were based on measurements of the planks and timbers. Next spring I hope to be in my new home where I will be creating many more rustic wood garden planters, bridges, and arbors. 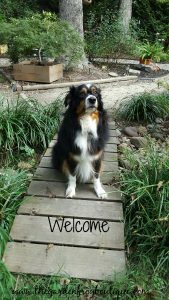 I love sharing with you home and garden projects. If you ever have any questions, feel free to contact me.